This hotel is located in Hamburg’s lively St. Pauli district, 100 metres from the Feldstraße Underground Station. Hotel Figaro offers free parking spaces. All rooms at Hotel Figaro Hamburg are non-smoking and feature parquet floors, cable TV and a work desk. Shared bathrooms are located in the hallway. A breakfast buffet is available each morning at the Hotel Figaro. Many cafés, restaurants and bars can be found nearby. 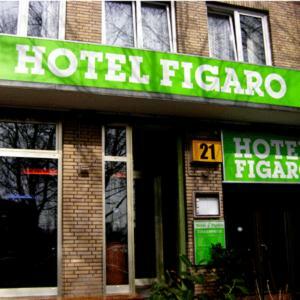 Hotel Figaro is just 600 metres from the Reeperbahn entertainment district. The CHH Exhibition Centre is a 15-minute walk away.